It looks like Max Holloway doesn’t think Conor McGregor’s “Proper No.12” whiskey is the best one in the Republic of Ireland. Holloway traveled to Dublin and visited the Jameson Distillery on Bow Street on Saturday. “Blessed” obviously favors “Jameson Whiskey” over Conor’s product. It looks like this “review” is a clean provocation for Conor McGregor. Conor McGregor was taking his “Proper No.12” wherever he went. The Irishman even offered Khabib Nurmagomedov to drink his product at UFC 229 pre-fight presser, which Dagestani declined. 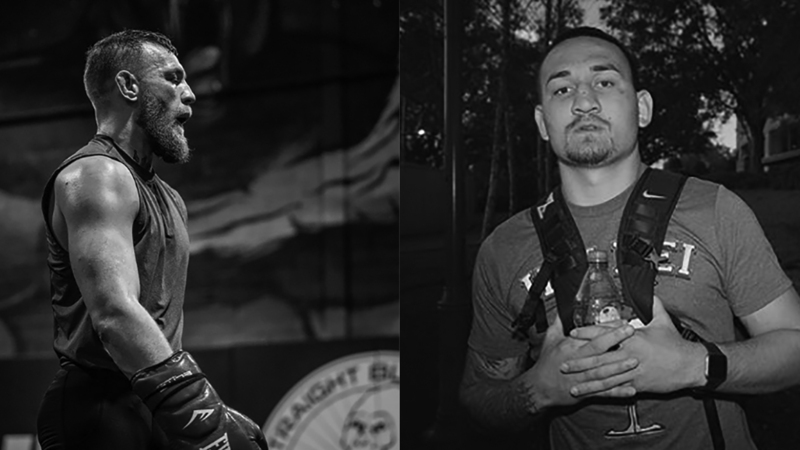 And it looks like Max Holloway won’t buy McGregor’s product either. But Donald “The Cowboy” Cerrone is ready to do anything to fight “The Notorious”. Max Holloway and Conor McGregor met at UFC Fight Night 26, on August 17, 2013. The Irishman dominated the match and defeated the Hawaiian via unanimous decision (30-27, 30-27, 30-26). Conor is actually the last man who defeated “Blessed”. At the moment, Max is on a hot streak with 13 wins in a row. In his last fight, Max Holloway dominated Brian Ortega at UFC 231 on December 8, 2018, and landed over 200 successful strikes. The match was stopped at the end of the fourth round, and Max was claimed winner via TKO (doctor stoppage). Conor had a comment after Max’s dominant performance over Ortega. The Irishman “suggested” he remains the greatest Featherweight fighter of all time. After victory over Holloway, Conor McGregor was promoted to a two-division champion. He defeated Jose Aldo at UFC 194 via left cross KO after only 13 seconds to secure a Featherweight belt. Then he KOd Eddie Alvarez via right uppercut at UFC 205 and won the UFC Lightweight division too. In his last match, Conor fought Khabib Nurmagomedov at UFC 229, where he was choked out in the fourth round. Do you think the rematch between Max Holloway and Conor McGregor might happen soon? Who would win if the two meet again? Please leave us comments!